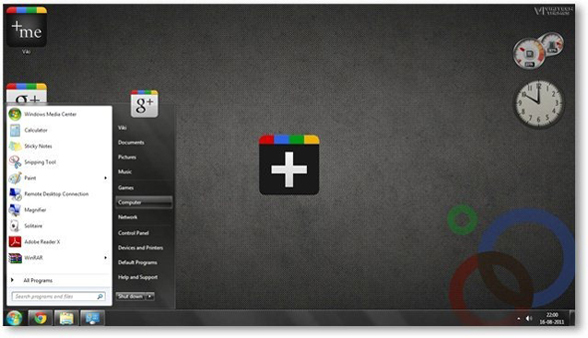 Bring the minimalist yet elegant feel of Google Plus to your desktop with this theme. Of course Google+ is the hottest topic all over the Internet now and everybody wants to be close to it in fact! I would still go for Facebook. If Google+ would compete with FB, I think they have a long time building such features that would dump facebook. Unless they can’t think of a way, they are still on the verge of wishful thinking. Nice theme, it looks clean and simple. will try this one for my PC at home. Facebook is still going to reign. Don’t think Facebook has no surprises as well? It is nice to know that this feud really excites the competition. Google Plus got attention of many internet users and it started growing rapidly. Thanks for the theme. Appreciate it. Will try it out and thanks for sharing.